By changing the activity of proteins that modify messenger RNA, we aim to develop new treatment options for patients suffering from cancers, auto-immune and neurodegenerative diseases. We are applying a 360-degree approach to small molecule drug design to build a pipeline based on the promise of this rapidly emerging biopharmaceutical field. 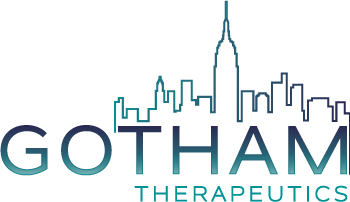 With the ability to attract talent on both sides of the Atlantic and recruit from two of the most vibrant academic talent pools in our industry, Gotham will complement its team of experts to spearhead target validation, drug discovery and development in the epitranscriptomics sector. In February 2019, Gotham announced the appointment of Carlo Incerti, M.D., Ph.D. as an independent Board Member. In addition, the company added Thomas Tuschl, Ph.D. as a Scientific Advisor. Meet our CEO Lee Babiss at the 11th Annual ChinaBio® Partnering Forum in Shanghai, China, May 08 - 09, 2019.